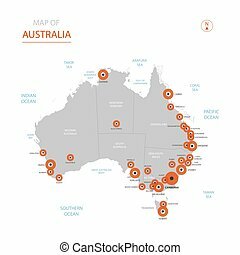 Australia stylized map icon vector symbol state. Stylized vector Australia map showing big cities, capital Canberra, administrative divisions. Germany map vector symbol icon design. silhouette illustration isolated on white background. 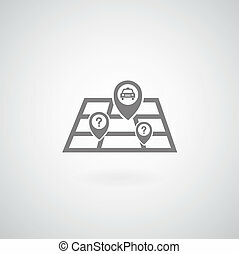 Map pointer vector icon location symbol on grey background.